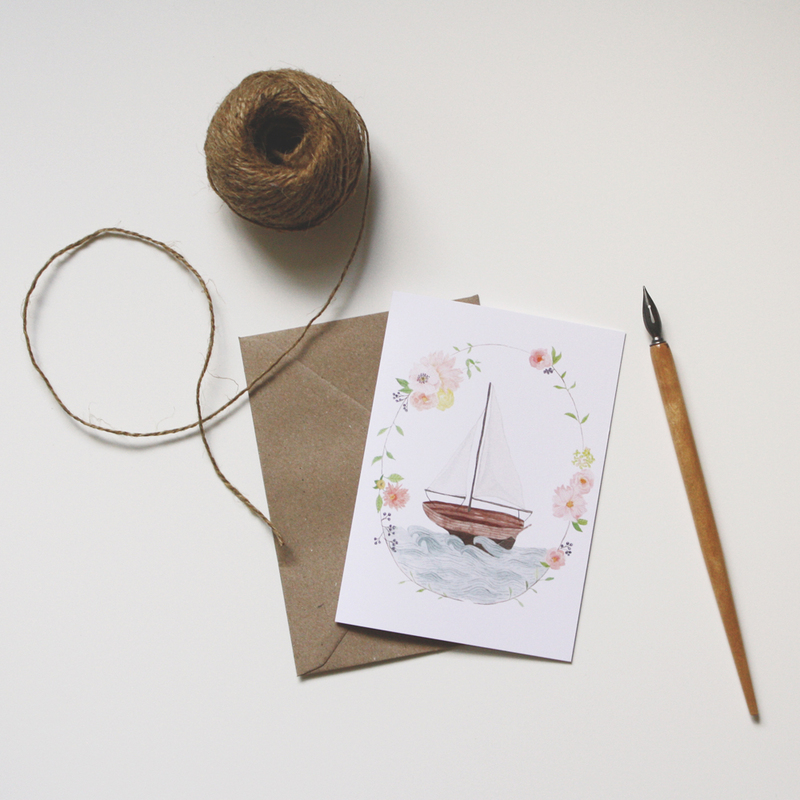 This print tended to be quite popular, so I decided to go ahead and make a few greeting cards out of it! 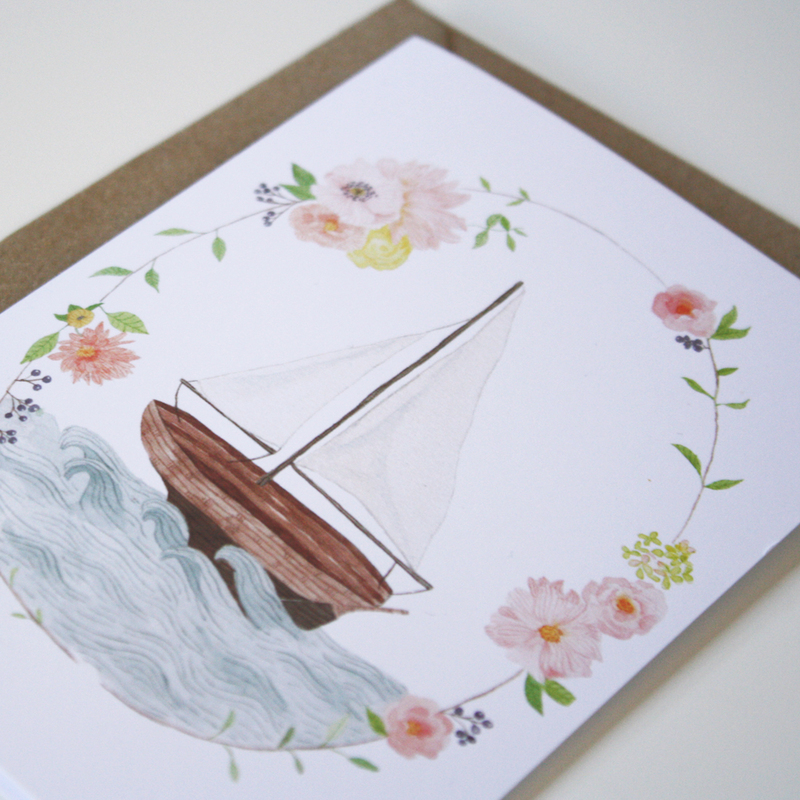 Sail into the season and send a couple of spring-y greetings. 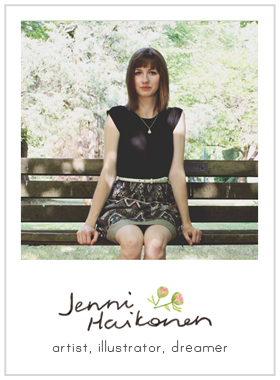 Your friends will thank you for it :) These are available for $4.50 each or you can order 4 of any card for $16. Head over to the shop to purchase. Also added are the original watercolor paintings of a few of my prints and cards. I won't be re-printing most of the originals added so this is your last chance to get them :) See them in the widget below or in my shop.